※If your child needs a separate bed, count as an adult. The 109 guest rooms of Mampei Hotel offer four types of accommodation to suit the diverse needs of our guests. Each has its own distinct charms: the richly historical Alps building, the Usui building with its fusion of traditional and contemporary styles, the spacious Bekkan annex, and the simply appointed Atago building. All rooms are non-smoking, and all have free Wi-Fi service. 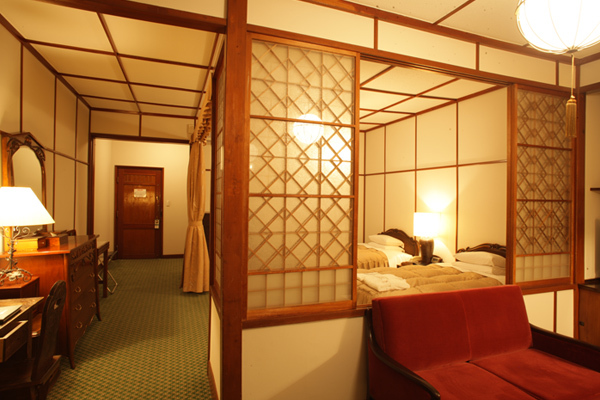 Built in 1936, the main Alps building is where you'll find the classic twin rooms that are the hotel's hallmark. With their tokonoma alcoves and clawfoot bathtubs, they epitomize the eclectic yet soothing “East meets West' style for which the hotel is celebrated. The rooms are variously 48 and 36 square meters in size; the former can accommodate three with the addition of an extra bed. 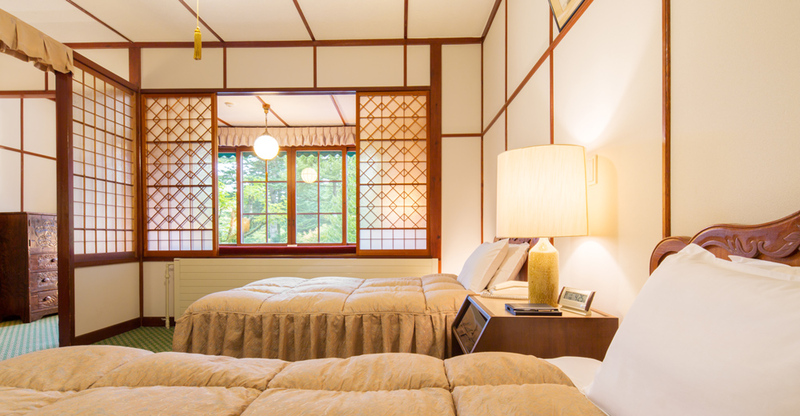 The 46-square-meter deluxe twin rooms of the Usui building are the hotel's newest; options include Classic rooms designed in the original Alps building style; Shosai rooms with a writing desk; and Triple rooms with three full-sized beds. 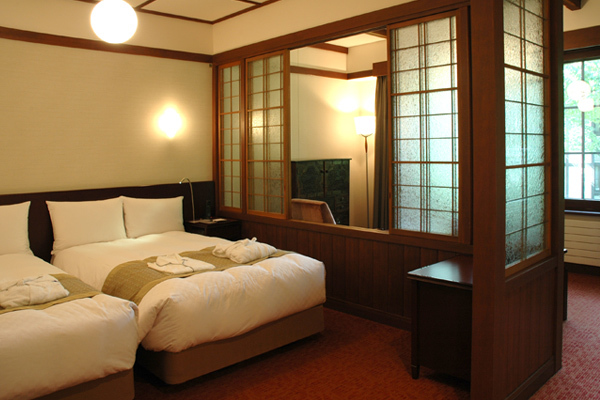 Shosai rooms can also accommodate three with the addition of an extra bed. All rooms have shower booths and are fully furnished for long-term stays. 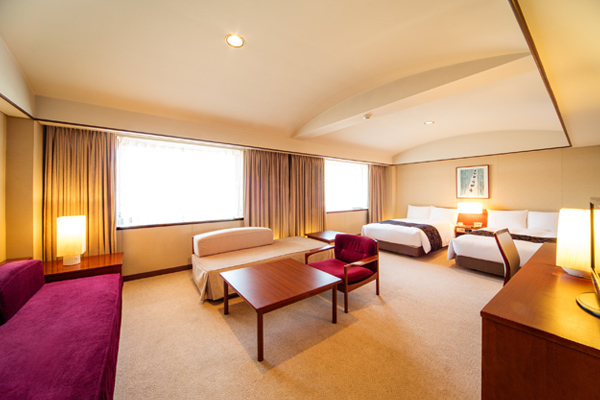 With their clean, simple design, the Atago building's standard 32-square-meter twin rooms are a favorite of business travelers and single guests. The rooms are spacious enough to accommodate three with the addition of an extra bed. The Bekkan annex offers expansive 52-square-meter twin rooms that can accommodate up to four with the addition of two sofa beds. With their separate washroom, bathroom, and toilet, these rooms are ideal for families and other groups. Copyright © 万平ホテル All Rights Reserved.